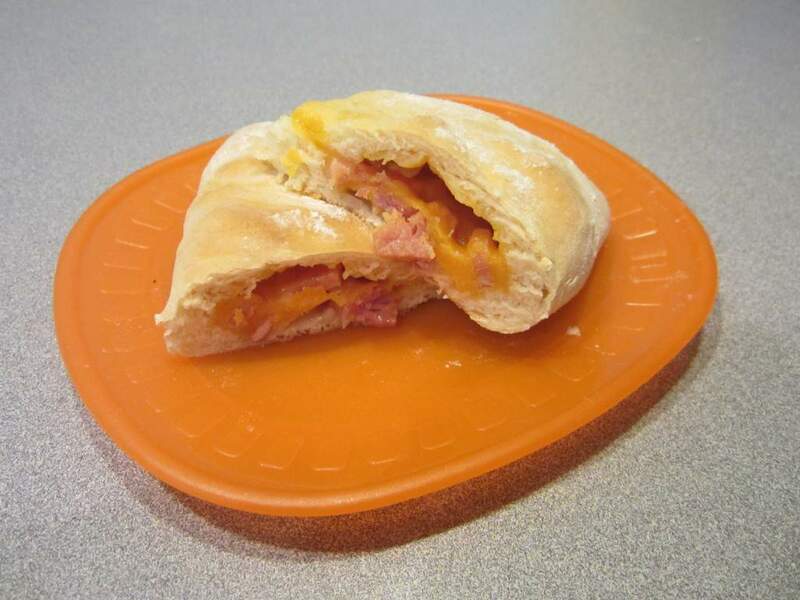 I am so grateful for this new-to-me ham and cheese pockets recipe that we did today for the 4 Weeks to Fill Your Freezer series over at Money Saving Mom. They are sooooo delicious! While waiting for the dough to rise, I mixed up a batch of chocolate chip scones in the food processor. 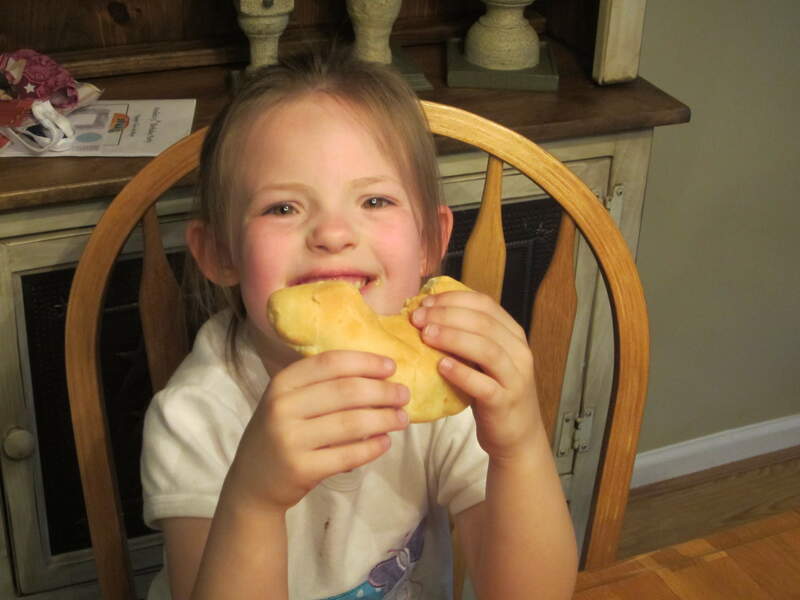 Our family ministry coordinator at church brings these scones to our young families meetings and after eating about a dozen of them, I finally asked for the recipe….they are heavenly!! I think the pockets dough was a little too much for my bread machine, because when I came back to it when the timer went off, the dough had risen so high that it almost pushed the lid off the machine! I pulled it all out, placed in on a cutting board and covered it while I went out to meet the school bus. When I came back, it had grown again! 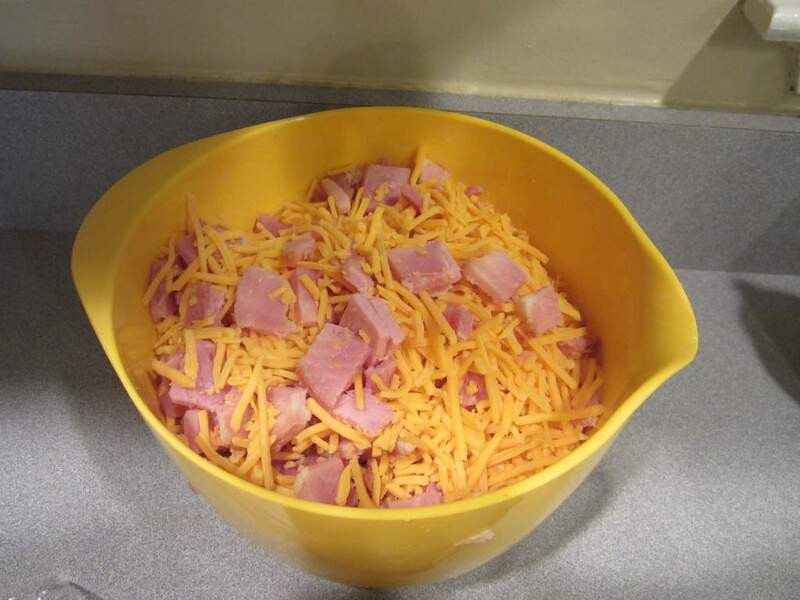 Next, I chopped up the ham (leftovers from Easter that were in the freezer) and tossed it with some sharp cheddar cheese. That looks good enough to snack on by itself! I cut the dough into 20 pieces and started to work rolling out the pockets. I did a better job today using all the experience I gained from yesterday’s pizza pockets. I could not wait to eat one of these beauties when I took them out of the oven! 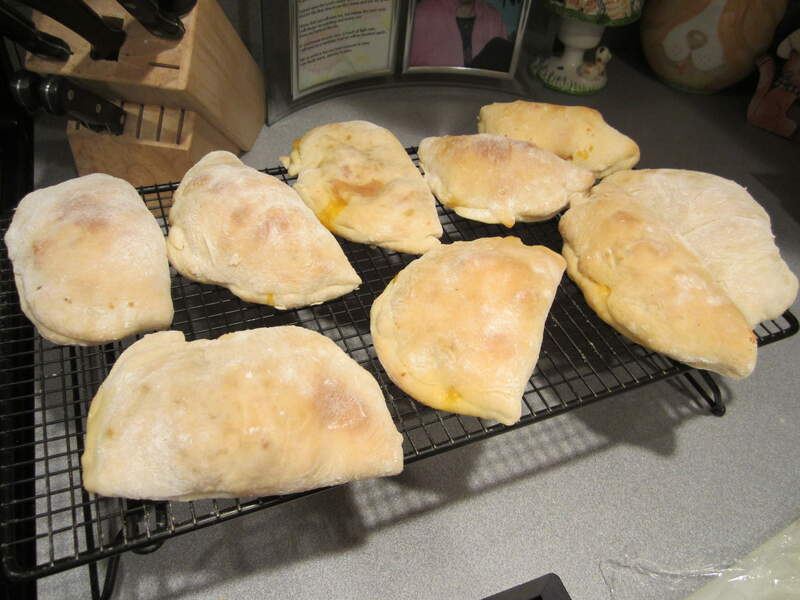 We had planned to eat out tonight after the kids’ soccer practice, but we came home instead and had these pockets for dinner along with some oranges that I cut up at the last minute. Erin, the scones look really good. Can you share the recipe? I didn’t make the ham and cheese pockets today. I made cheeseburger rolls. They are my sons favorite. 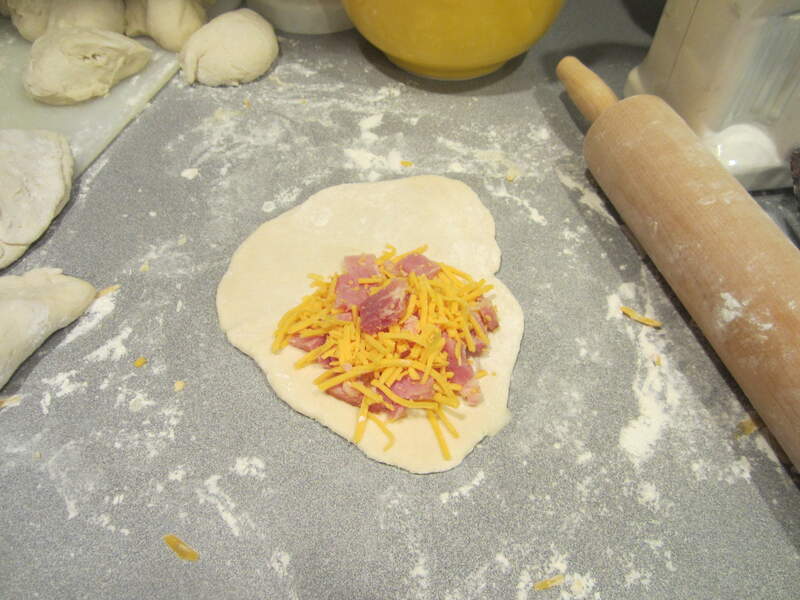 I will make the ham and cheese pockets the next time I have extra ham they sound so good. When I had a bread machine I don’t know how many times the dough almost pushed the lid off. 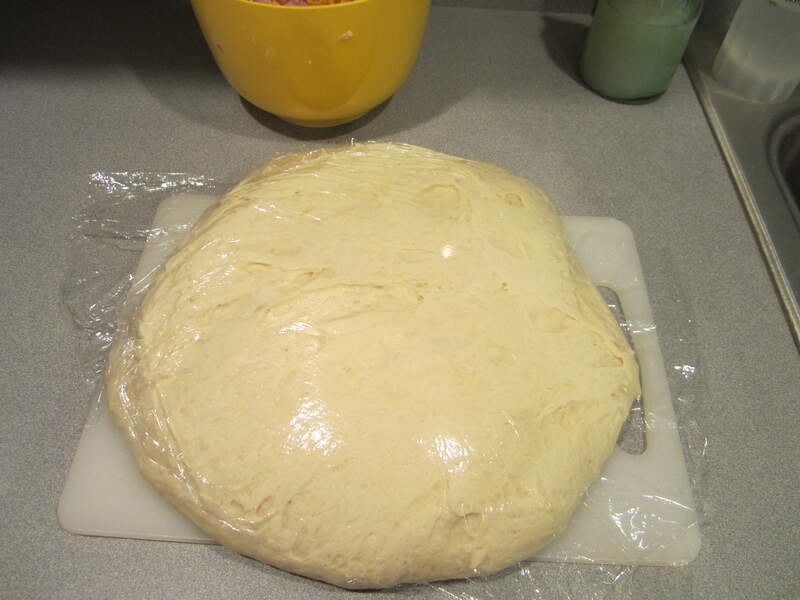 Sometimes the dough can really expand. Have a great Mother’s Day. The scones sound great. Will you be posting the recipe? Everything looks great! The scones sound delish! And your little one looks so happy and cute 🙂 Have a wonderful Mother’s Day!